Cooking with cannabis: How can we educate about edibles to avoid a kitchen nightmare? There is a lack of education about edible cannabis, which experts say the government must address before legalization takes effect. Forty-five per cent of Canadians are interested in cooking with cannabis, according to a Dalhousie University survey. But many people don't know how to safely consume edible cannabis, as evidenced by two police officers who allegedly experienced hallucinations after eating edibles while on duty recently — and had to call for back-up. Bill C-45, which aims to legalize marijuana use in Canada, did not originally include edibles. They have now been added as an amendment, but will not become legal until 2019, a year after the initial roll out. Sylvain Charlebois is encouraged that the government is taking extra time to get it right. Charlebois is dean of the faculty of management and professor in distribution and policy at Dalhousie University. "There's lots of confusion," he told The Current's guest host Piya Chattopadhyay, "I mean generally speaking I would consider Canada an immature market around cannabis." "Let's face it, all Canadians do have access to edibles right now," he added. "And all these products are unregulated, you can basically order these products online and nothing is being monitored." Data collected by Charlebois' department suggests many people are interested in cooking with cannabis. He hopes the government will invest in educating the public on how to do that safely. If you don't have that education, he said, "you could end up seeing a lot of Canadians making mistakes in their own kitchen." When it comes to cannabis, the future could be flavoured butter. Reena Rampersad is the owner of High Society Supper Club, a catering company that helps people hold dinner parties or private events where cannabis-infused food is served. "The Government of Canada is committed to protecting the health and safety of Canadians, through the legalization and strict regulation of cannabis for non-medical purposes. 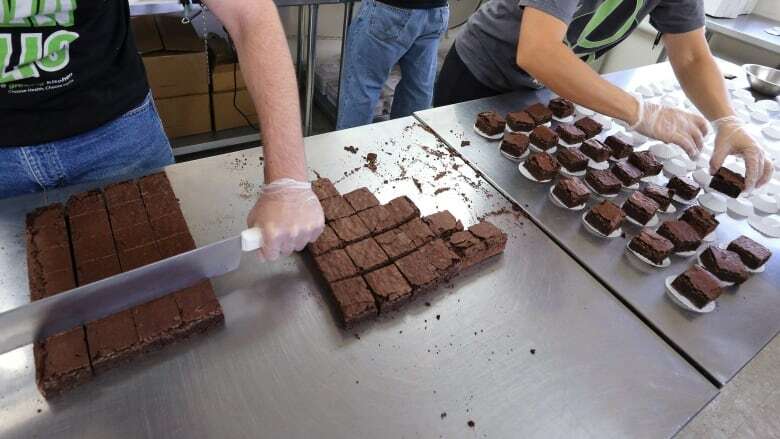 We have learned from U.S. states that edibles and other cannabis products present unique health risks and require careful study and appropriate regulatory safeguards." Her company focuses on savoury foods as she thinks the market is saturated with sweet options. Often she will serve normal food with an infused accompaniment. "Sauces, dressings — hot sauce is our specialty." Having it on the side allows people to pace themselves, she said. The effect of edibles takes longer to kick in, meaning that people often think it's not working, eat more and more, and then experience a very strong effect all at once. Rampersad considers part of her job to be educating customers about how to avoid this. "There's a process called microdosing," she said, "which basically is administering it with very small dosages gradually, in gradual increments so that the person has the ability to interpret and gauge how they're feeling." 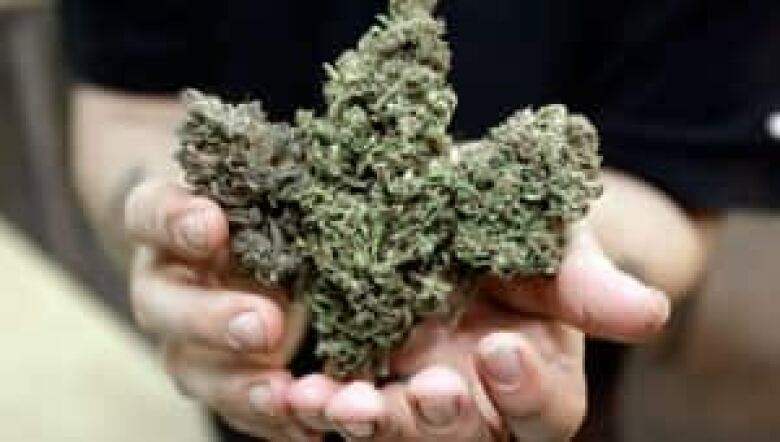 Canada could look to Colorado's experience, where marijuana was legalized in January 2014. "We have certainly more regulation than we've started with," said Dr. Daniel Vigil, the manager of Marijuana Health Monitoring and Research at the Colorado Department of Public Health and Environment. The state has rules about maximum serving sizes, and clear packaging that is child-proof. "Edibles cannot be shaped like animals, humans, fruits or cartoons," he said, "to reduce potential appeal to children." 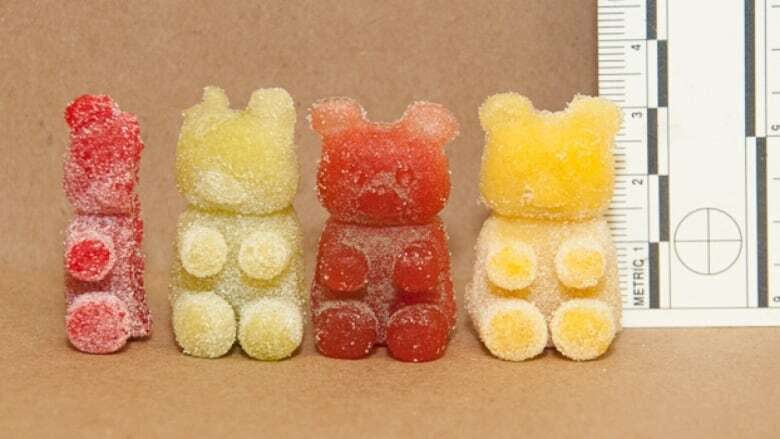 The state has also banned vendors from infusing pre-manufactured products, such as spraying THC on gummy bears. He agreed that educating the public is vital, not just on how to safely consume edibles, but how to recognize them, and keep them out of the hands of children. "We've had cases where somebody left something in a hotel room," he said, "and the cleaning staff found it, and thought it was a regular candy bar, and ate it." Listen to the full audio near the top of this page, where you can also share this article across email, Facebook, Twitter and other platforms. This segment was produced by The Current's Josh Bloch, Samira Mohyeddin and Vancouver's Network Producer Anne Penman.